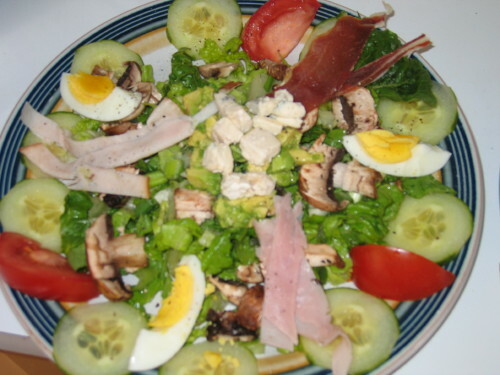 This entry was posted in Entertaining and tagged Cobb Salad recipe, Elizabeth's Cafe. Bookmark the permalink. So many people confuse a Cobb Salad with Ty Cobb – or so I’ve heard – but it was the invention of Bob Cobb, the owner of The Brown Derby Restaurant across from the late and lamented Ambassador Hotel in Los Angeles. (I just have to spread the word. That looks yummy! A perfect summer evening dish. Cobb salad is impossibly classic. And I order it whenever I can. Along with a gin fizz.